​Whether you have a big house or a small apartment, decorating your home can be a challenge! Unfortunately space can be a limiting factor. If you are like us, you want to decorate your house to make it feel cozy and you want the best in smart home technology to make living in your home easier. We have chosen the top products to help you decorate your home with comfort, style and technology. Take a look below at our top picks! Humidify, diffuse and and atomize your home with the stylish Young Living Desert Mist Diffuser! Inspired by the design of a Moroccan trellis, the multi-functional diffuser adds an exotic and modern touch to any home! Built to diffuse for up to 10 hours- it's perfect to both decorate your home and freshen the air! Add a touch of color and music to your home with the Anker 360° Flare Portable Speaker! Not only does this small speaker enhance your music's bass it also intensifies the sound! The speaker has a halo of LEDs that phase, pulse, and shine with the rhythm of your music! The Flare is not only perfect for home but also to take along on trips as it is waterproof and ready for pool parties! Take at home printing to the next level with the Expression ET-2750 EcoTank wireless all-in-one! 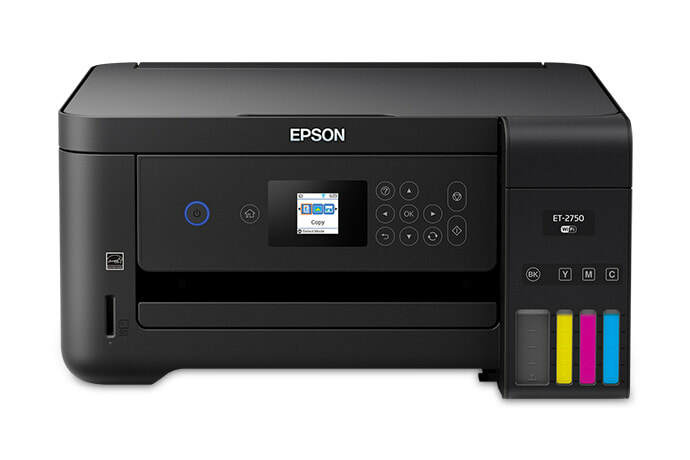 This printer offers revolutionary cartridge-free printing with easy-to-fill, supersized ink tanks. The best part is that it comes with up to 2 years of ink in the box! Yor can easily print up to 5,200 pages - it's basically equivalent to 30 ink cartridge sets! This is an affordable solution for wireless at home printing! Decorate your home with a cute Cracker Barrel "Home" Embossed Metal Tray. Made of weathered white iron tray, it makes the perfect coffee table centerpiece, catch-all for mail and trinkets, or as a decorative shelf display. It's the perfect accent for any home! Take your home audio to the next level with the Como Audio Solo! From tuning to Internet radio stations to choosing from over 30+ million songs from Spotify. You can choose from music sources such as FM radio, Internet radio, Bluetooth streaming, and Wi-Fi connectivity. Not only will Solo take your music to the next level, it will also take your home decor to the next level with hand-crafted, furniture-grade real wood veneer cabinets for truly stunning style! Make home cleaning a breeze with the Bissell Crosswave Pet Pro Wet Dry Vacuum! If you deal with lots of fur and smells from your adorable pets you will appreciate the fact that this vacuum cleans and washes your floors at the same time! It features a multi-surface pet brush roll and pet hair strainer for easy multi-surface cleaning. It is safe to use on sealed hard floors and also reduces pet smells! Dress up your living room with Adorabella Heraldic decorative throw pillows! Made from plush woven Chenille Viscose (70%) and a Polyester (30%) blend, these pillows exude quality and style. The pillows are available in a range of colors to match your decor and add an elegant accent to any room! ​Add practically unlimited storage with the WD My Cloud Home Personal Cloud. The device provides a one-stop solution for saving digital content, backing up photos and videos on your phone, and wirelessly backing up and syncing your Windows and Mac computers with cloud accounts. The device features 4 TB of storage and plugs directly into your Wi-Fi router and makes it easy to connect to your pictures and other media! It's definitely a necessity for any home! ​If you love to cook, you will appreciate the DiamoTech Pan! The diamond infused ceramic coating makes this pan stronger and durable. It also provides uniform heat distribution which makes it easier to evenly cook food. The dishwasher safe pan is oven safe up to 500 degrees. Not only is the DiamoPan the perfect cooking companion, it's also easy to clean. This pan is a home necessity!